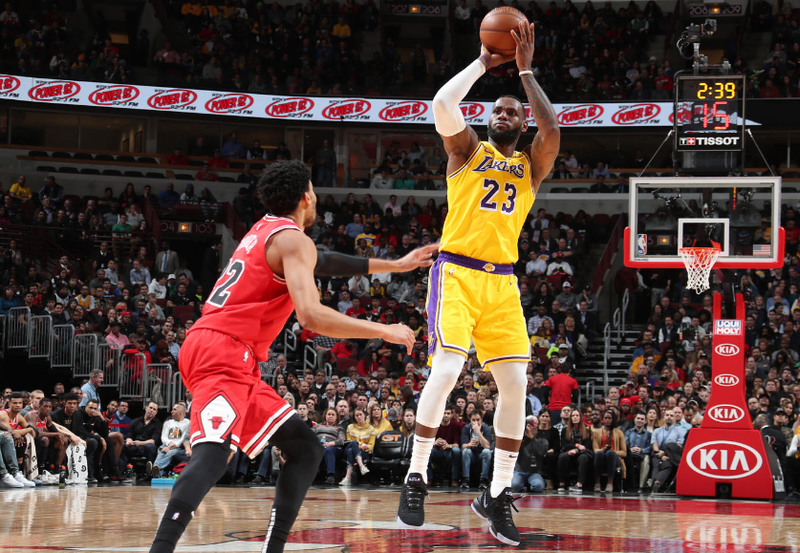 Los Angeles Lakers finally snapped their longest five-game losing streak as they beat the Chicago Bulls with a 123-107 victory at the United Center. Thanks to LeBron James’ dominant performance as he scored 36 points, including two big dunks, 10 rebounds and four assists. Also, it’s James’ 18th career 30 points game against the Bulls. In addition, Kentavious Caldwell-Pope scored 24 points off the bench, Kyle Kuzma scored 21, Rajon Rondo had 14 points and 10 assists, while JaVale McGee finished with 10 points and 11 rebounds for the Lakers, who trailed by as many as 20 points early in the second quarter. During the game, the purple and gold had their season-low 16 points in the first quarter compared to the 34 points poured by the Bulls. Luckily, they were able to score a total of 107 points in the final three quarters. On the other end, Robin Lopez led Chicago with 20 points and seven rebounds, while Otto Porter Jr., and Kris Dunn contributed 19 and 18. Lauri Markkanen suffered through a nightmare game by missing all eight of his 3-point attempts and shooting 4-for-17 as he tallied with just 11 points. The lost means that they are out of the playoff contention for the first time in consecutive years since they failed to qualify for six straight seasons from 1998-99 to 2003-04. Moving forward, the Lakers are now heading to Canada to face the Toronto Raptors at the Scotiabank Arena for their second out of five-game road trip away from home. Stay tuned for the forthcoming events, predictions and betting tips on 12BET, the leading online sports betting and forecasting website that allows you to bet in complete security while benefiting from best bonuses and promotions. Sign Up now to enjoy the exclusive and luxurious bonus rewards you deserve. This can’t be missed!